As another quarter comes to an end, ACT’s Center for Equity in Learning continues to collaborate with our partners, ensuring we are promoting equity, access, and success for all learners we serve. This summer was full of partnership work that helped us advance our mission. 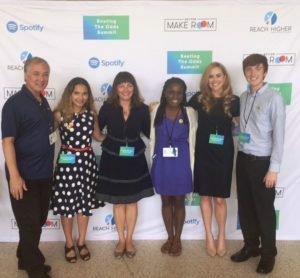 This summer, the Center fueled Roadtrip Nation’s Beating the Odds Roadtrip with advisory support from Better Make Room – an initiative sponsored by former First Lady Michelle Obama. The road trip featured three college students driving a bright green RV on a voyage of discovery. Starting in New York City with stops in Baltimore, Washington, D.C., Atlanta, Houston, Grand Canyon National Park, San Diego, and ending their route in Los Angeles, the road-trippers interviewed 16 leaders from across the U.S. who like them, have beaten the odds and overcome obstacles along their education and career pathways. While on their journey, the road-trippers had the opportunity to meet with Michelle Obama and join her and a small group of students for an intimate discussion about getting to and through college. As part of this three year initiative, we teamed up with Better Make Room and career experts at Roadtrip Nation to launch the ACT Share Your Road platform— a unique online community where individuals who persisted in overcoming odds to complete post-secondary education can share their stories with students and community members to learn from – and grow with – each other. The Center also works closely with the American College Application Campaign to pursue its work to promote access to all students – especially those who are disadvantaged – by completing a college application. Entering its second year, this partnership has also produced the Pre-college and Career Curriculum, as well as the creation of a College Match and Fit toolkit leveraging ACT’s free service, Profile, and most recently, the creation of the Steps2College online resource for students, families, and school counselors. 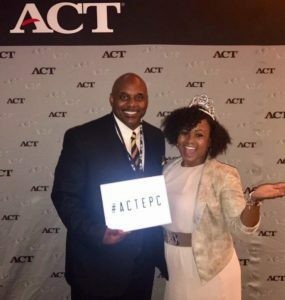 The Center partnered with the Iowa City Schools Foundation to launch the ACT U program, which will begin in October. The program uses a linear design that focuses on young people in third through twelfth grades. The first phase of the program will focus on working with local Iowa City Schools in a mentoring capacity, pairing volunteers from ACT to serve as mentors/tutors at these schools with a strong focus in the areas of math. 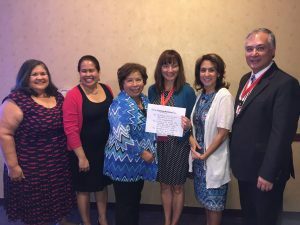 Additionally, we’ve been working on an effective model to close the digital divide for underserved families in the Rio Grande Valley through a community impact project. ACT has been an advisor and convener to the DO4RGV Demonstration Project under the leadership of the Federal Reserve Bank of Dallas. The program focuses on supporting digital inclusion, bridging the homework divide, enabling workforce development, partnering with the private sector, and expanding free public wireless services around government buildings in Dallas. This work will continue to engage the community, schools and municipalities in scaling up beyond the demonstration project. 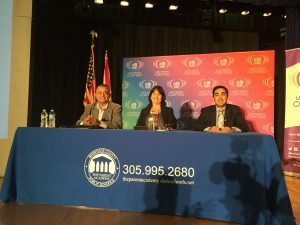 As part of their education efforts nationwide, our partnership with Univision allows us to reach thousands of Hispanic families by bringing events directly to them via Parent Academies and Education Fairs. During the summer the documentary, “Fighting for Success” (“Luchando por el Exito”) premiered. ACT had the opportunity to be part the documentary TV special, whichaired nationally in July. As the Center looks ahead to next quarter, we will have two large events to advance this partnership: one in Los Angeles and one in Phoenix, giving thousands of families the opportunity to get relevant information about planning for college success. The Center’s partnership work continues to help us advance our mission of education and workplace success for all young people. Together with our partners, we are bridging gaps and strengthening opportunities for underserved populations.